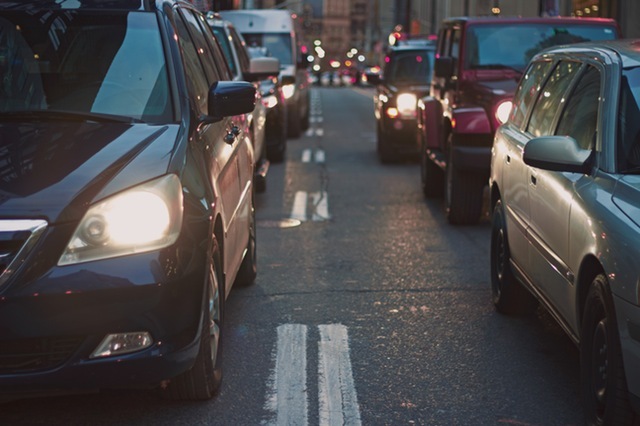 A stunning report from the U.S Department of Transportation last week revealed that traffic fatalities across the nation rose by an estimated 10.4% in the first half of 2016. The sharp jump comes on the heels of a 7.2% increase in 2015. 17,775 people lost their lives on the roads during the first half of 2016. That’s compared to 16,100 over the same period in 2015. There were eventually 35,092 traffic deaths last year. “We have an immediate crisis on our hands, and we also have a long-term challenge,” said Mark Rosekind, director of the National Highway Traffic Safety Administration (NHTSA). Why Are More and More People Dying on the Highway? In 2014, roadway deaths dipped to a historic low after decades of steady decline. So why the sudden uptick? During a period of numerous well-publicized recalls – like the General Motors ignition switch and the Takata airbag – it would be tempting to point to non-human factors. However, vehicle defects accounted for about 5% of fatal crashes. “It is important to know that human behaviors are by far the largest cause of (traffic) fatalities,” said Rosekind. The NHTSA pointed to an improved economy as a cause. “One of the things we know is that people (are driving) more miles, and the kind of driving people do has changed. They go to more parties, leading to more risky types of driving,” Rosekind continued. Overall, travel is simply more affordable now. More vehicles on the road combined with distraction caused by human behavior can be a deadly combination. “It’s not just phone calls or texts – it’s everything that we can do on those devices that have become a part of our lives. But when you’re behind the wheel isn’t the time to be updating your Facebook page, checking your messages or making dinner reservations,” said Debbie Hersman, president of the National Safety Council. Using crash data from 2012, the NHTSA was able to confirm that male motorists are twice as likely to be killed in auto accidents than women. During that year, 23,808 men lost their lives on the highways compared to 9,733 women. While issuing their report, the Department of Transportation pledged $1 million per year for the next three years for the Toward Zero Deaths campaign. Originally launched in Sweden in 1997, the Toward Zero Deaths campaign has since been adopted by a host of U.S. cities. It focuses on engineering, education, and enforcement to reduce highway deaths to zero. Also offering encouraging news is the rapid introduction of self-driving cars and other advanced technologies. During an auto crash, the human body is placed in an incredibly vulnerable position. In addition to possibly being hurt from the impact itself, victims can experience burn injuries if there is a fire in the vehicle, spinal cord and brain injuries, cuts from broken glass and other debris, soft-tissue injuries (whiplash), broken bones and more. If you’re injured in an auto accident due to another driver’s negligence, you definitely have the right to demand that driver cover the costs. That’s why we urge you to get in touch with us here at Barber & Associates. There’s never a charge for the initial consultation, so get in touch with us at 907-276-5858 or by email.